So you have noticed that your roof is leaking. There is a crack in the shingles, there is a hole in the ceiling. These are the all the clear signs that you should look out for when it comes getting your roof repaired. But once you’ve called a roofing contractor (like the professionals at Guardian Roofing – leading roof restoration company in Melbourne), you expect them to start working right away, don’t you? Well, you shouldn’t. There is a lot you should know before any work is started. And the best way to find this out is by asking the right questions, which we have right for you in this blog. All you have to do is keep reading to them out. Question 1: What is included in your service? When the roofer turns up at your home and they start working on your repairs, what exactly are they doing to your roof? You have to find out what is included in your roofing repair service before they start working. Is the repair itself part of the deal or is it extra for equipment and material? These are the things you have to know before the contractor starting working on the repairs of your roof. Question 2: What kind of repairs can you handle? 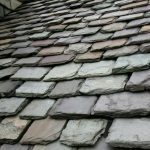 There are many different types of roofing repairs out there. There is no “standard” or one-fits-all approach. Each roof is different, due to the shape, material, size and angle of the roof. So therefore each repair job is different. But can the contractor handle the repairs? You need to know this before they start any work. So ask them if they can handle all types of roofing repairs before they get started. Yes – why not put the contractor under pressure why asking them what makes them stand out from the rest of the competition? While this question might seem like it is coming out of nowhere, it is actually a useful one to ask. It will put them under the pump to convince you why they can do the job for you – and perhaps offer you a deal or some sort of negotiation so you are able to get the job finished on the cheap. Question 4: How much is the whole service going to cost? Finally, before they start any work, you should ask how much the repairs are going to cost you. And most importantly, what is part of the cost. Are you being charged for the labour, the parts used, the time or the whole project itself? This is important so you have a firm base on what you are paying for and why you paying for it. It will also help you when it comes to sorting out your budget and what you can afford in case you need others services like restorations or roof re-pointing in Melbourne.